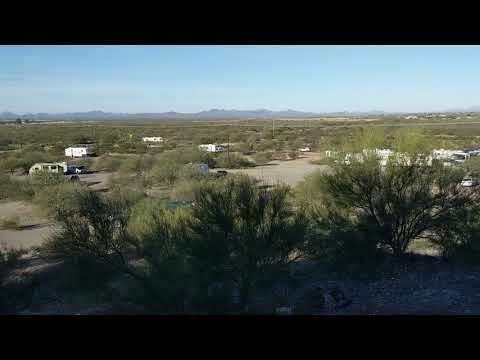 This BLM property, right off the Ajo highway near Tucson, is extremely convenient for a short or extended stay. Anyone can stay up to 14 nights, free of charge. Greeted people here from all walks of life -- from those living out of the back of truck to brand new 45 foot motorhomes. Like many high-impact BLM areas, the entrance roads are not well-maintained so some are quite rough. We arrived in the dark, which we do not recommend as it was difficult to see where the entrances were and how rough the roads were ahead of us. The parking/camping spaces are not designated, but heavy use has carved out lots of opportunities. There are a few places to walk or ride throughout the property, which is actually quite small based on typical BLM property. 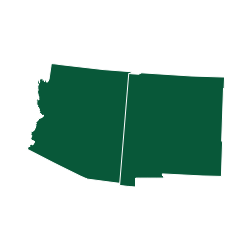 However, the nearby areas of Saguaro National Park and Tucson Mountain Park, offer plenty of opportunities for both. No facilities, no water or even a stream…so plan ahead! Bureau of Land Management site. 14 day limit. Easy access and we were able to park our 42 ft motor home easily. The area is quiet with trails and lots of area to walk your four legged camper! We saw horseback riders and ATVs enjoying the area. We were able to stay in contact (ATT ) and the city is within an easy drive for supplies. This is a boondock area. Be aware that while camping here you are sharing the area with wildlife (including rattlers). Boondocking etiquette applies (pick up trash and leave the area cleaner than when you arrived). We have camped here several times and will certainly return!